You will bend to my will. Dogs have owned us most of our lives. 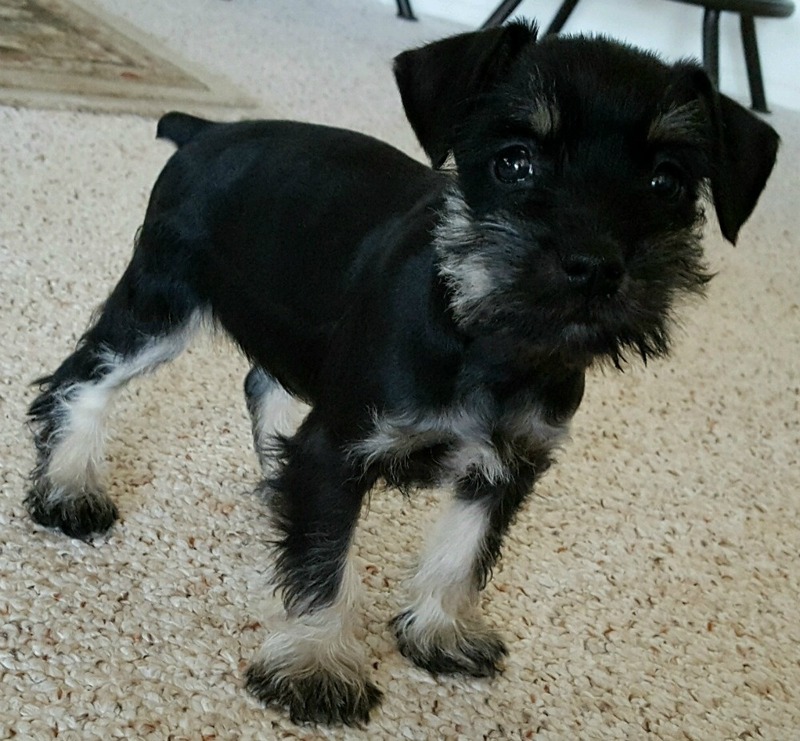 Greta was a Miniature Schnauzer who thought she was the pack leader of our family even though she depended on us for the basics: food, water, shelter and more. She needed twice-a-day shots for diabetes, frequent Vet appointments for pancreatitis, Cushing’s Disease, glaucoma that blinded her and eventually took her beautiful clear brown eyes. Her medical history would fill a small novel. We’ve missed her for three years, and finally, quit fighting the urge to hear paws on the floor once more. We tried for a while to adopt a rescue dog from a shelter. Circumstance and compatibility couldn’t seem to get coordinated. We gave up and decided to postpone dog ownership. And by “enter” I mean full speed ahead, roll around corners, enthusiasm. She comes with a frenzied whirlwind of face-licking while climbing out of your grip, wriggling like a sheet on a clothesline in northern Arizona wind. This will come as a surprise to you, but puppies have no respect for carpet, tile, or expensive wool area rugs. In fact, the latter they will abuse from both ends: chewing as well as … you know. They bring something else into the house beside the occasional accident. Puppy breath, antics, and eternal cuteness that would pull a heart as cold as dry ice into their joie de vivre. She also has no respect for my need to sit quietly at a computer keyboard and type. Leia interrupts novels, short stories, and blogs with happy abandon. Add your dog story. Leave a comment.